During the last two weeks of April, the biggest ever undertaking in the field of public health has been taking place – The Switch. 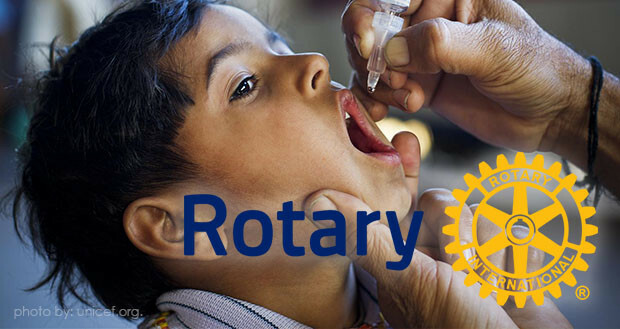 All 155 countries in the world are changing their polio vaccine from the triple “Just Two Drops” to the double vaccine by 1st.May. The triple oral polio vaccine contains three live, but attenuated, viruses. The attenuation stops the virus mutating and becoming virulent again, but nothing in medicine is fool-proof and some cases of polio due to the vaccine have occurred because of this mutation. The virus that changes most often and cause nearly all the problems has been the Type 2 which has not been seen in the wild since 1999. When there were 1000 cases of polio each day, the occasional case actually caused by the vaccine was, regrettably, an acceptable risk, but with only 11 cases in the whole world this year, that risk is totally unacceptable, so the Type 2 component has been removed. Hence all countries are changing together. If some do not, and continue to use the triple vaccine, there is a risk that more cases of Type 2 vaccine-derived polio could occur. To mitigate that risk, all countries that still use the oral vaccine have also included at least one dose of injectable vaccine which contains a killed/inactive virus. In the UK, USA, Australia and a number of other countries, the oral vaccine has not been used for a number of years, just the injectable. This has been a massive project with all the Polio Plus partners combining with an organisation called GAVI to finish the fight once and for all. Each year, Rotary funds some of the world’s most dedicated and brightest professionals to study at Rotary Peace Centers. Through training, study, and practice, Rotary Peace Fellows become leaders and catalysts for peace and conflict resolution; many go on to careers in national governments, NGOs, the military, law enforcement, and international organizations like the United Nations and World Bank. Applications are now being accepted for the 2017-18 Rotary Peace Fellowships program. Click here to find out how to apply. 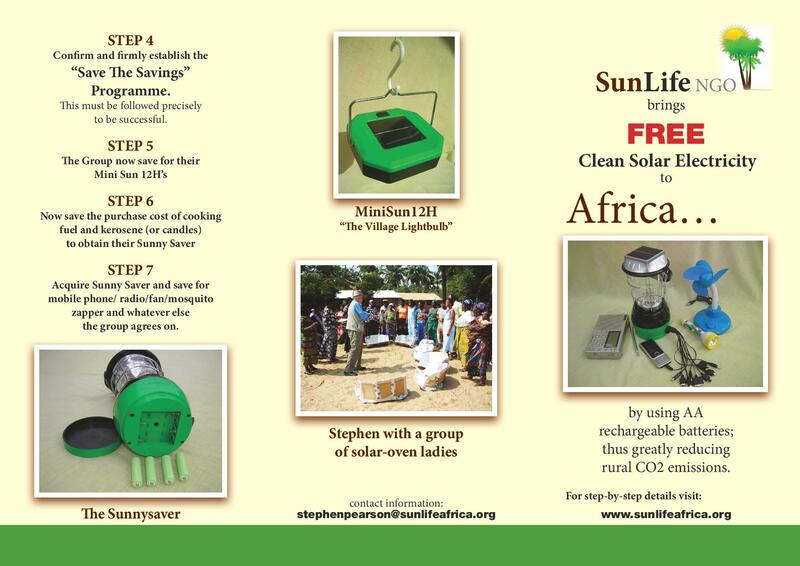 Our District 1200 Foundation Officer,Mike, suggested to me that this solar cooking/lighting programme would make a good District Project. 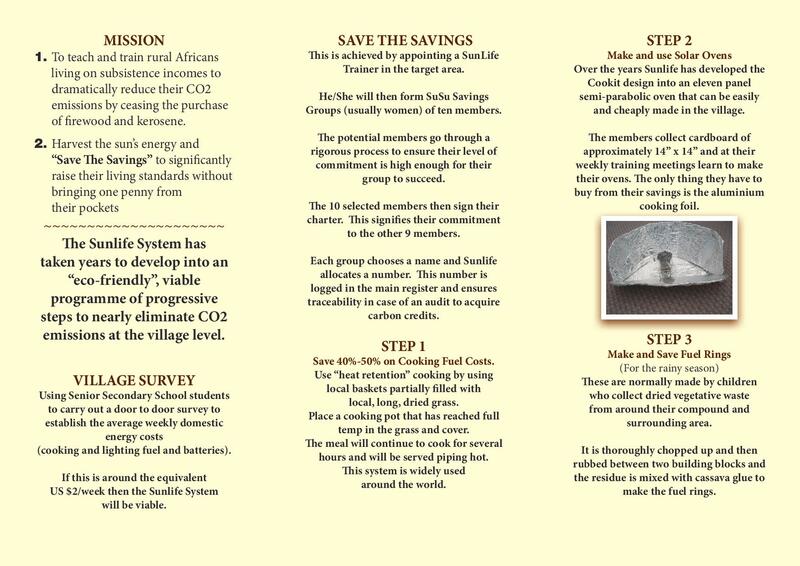 It teaches villagers how (without bringing any money from their pockets) to raise their standard of living without using fire wood and kerosene as they are currently doing. This project is already up and running in Ghana. I visit the programme in Ghana three times a year and am happy to present it to any clubs interested in joining with us. At the request of our District Governor, we will have a SunLife display table at the District Conference. Members from interested clubs who would like to help us to man this table will be most welcome. 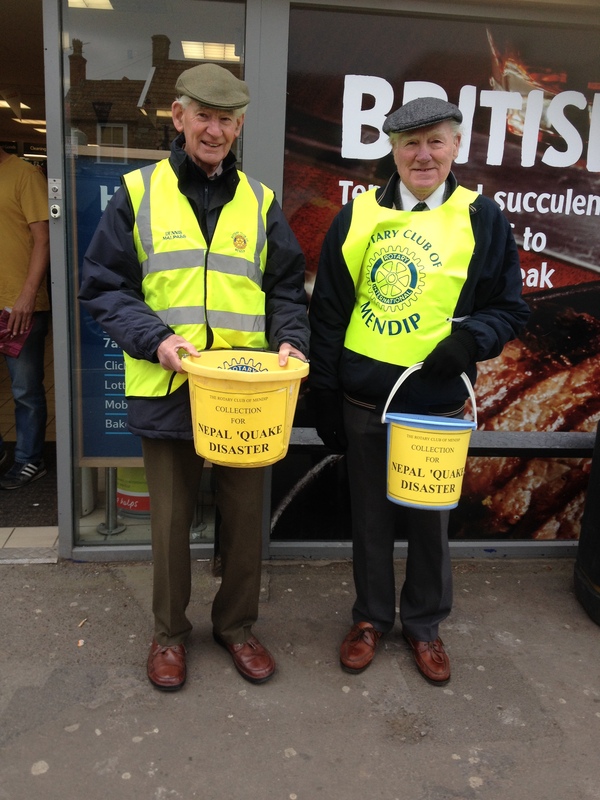 The Rotary Club of Somer Valley recently donated £3,000 to World Wide Water Works Ltd to help with water aid in Nepal. Lawrence Kettle, Chairman of the Club’s International Committee was also hoping to obtain £2,000 matched funding from The Big Gift. 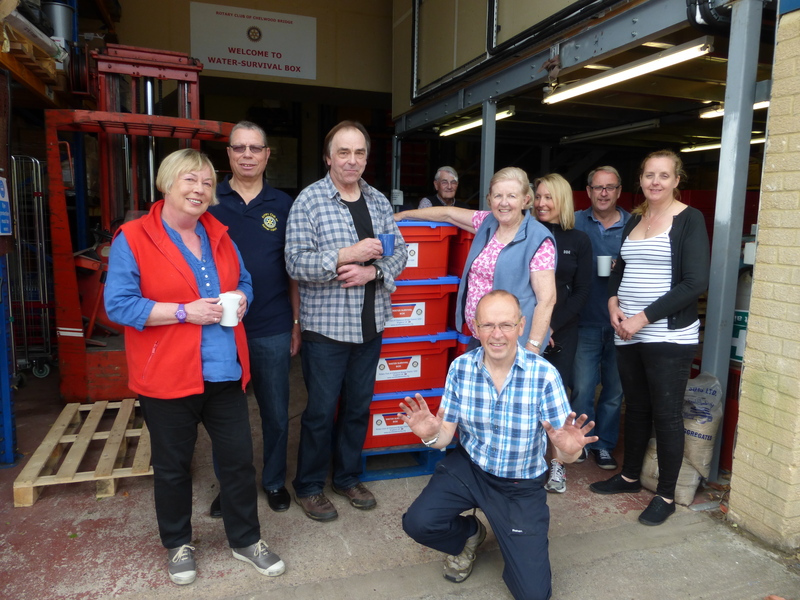 The donation was gratefully received by Ray Lithgo, member of Chelwood Bridge Rotary and a Director of World Wide Water Works Ltd.
Ray explained that they are desperate for donations to ensure water boxes can be filled with survival equipment and shipped out urgently. 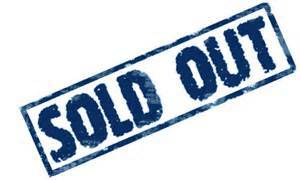 Therefore this contribution will be used immediately to purchase the survival equipment needed. 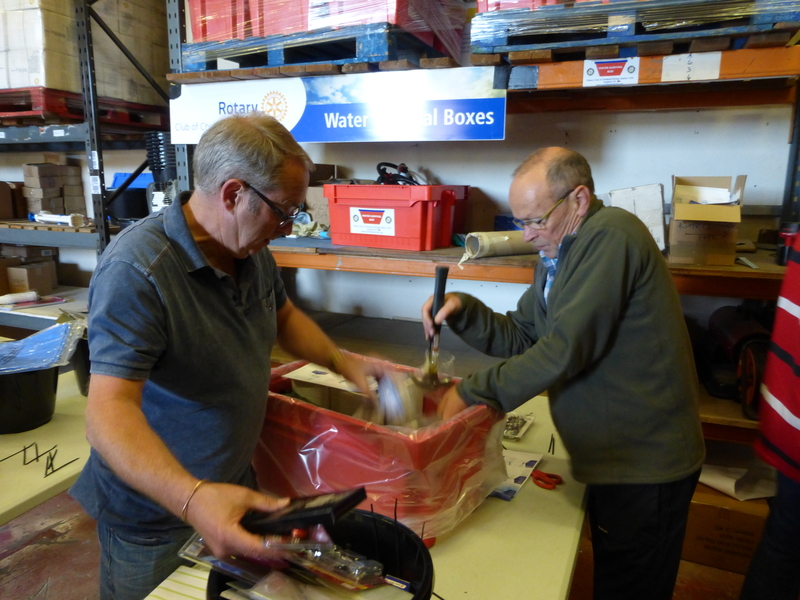 As a follow-up to the recent donation, in one hour during the morning of Thursday 4 June members of Somer Valley filled 60 Water Boxes in readiness for a second consigned to be sent to Nepal. The Rotary Club of Somer Valley recently presented a donation to the Neem Tree Trust, a local charity that supports a disabled boys’ home located near Tirunelveli, Tamil Nadu and a Leprosarium in Peikulam, both in the District of Thoothukudi in Southern India. 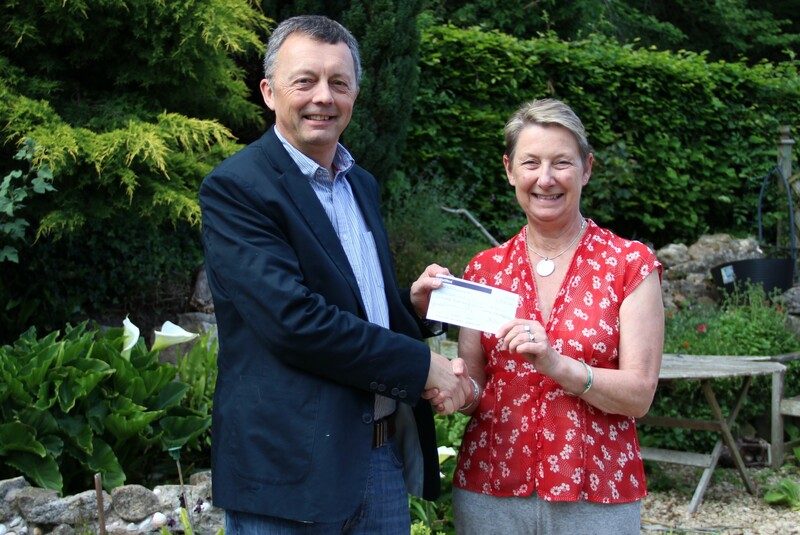 A donation of £500 was presented to Kathy Miller of the Charity by Laurence Kettle, Chairman of the International Committee. Kathy expressed her thanks for the club’s continued support. She described two recent projects where the charity has been able to help the boys’ home purchase a new mini-bus to take the boys to and from their schools, and a solar panel installation for heating water. The club has an on-going commitment to the Neem Tree Trust, having made several previous donations. 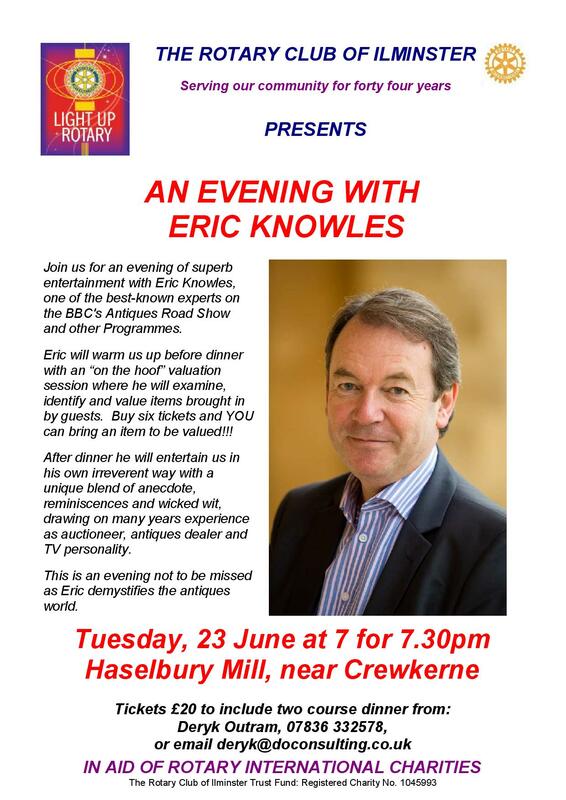 Tuesday 23rd June, 7pm for 7.30pm Haselbury Mill, near Crewkerne. 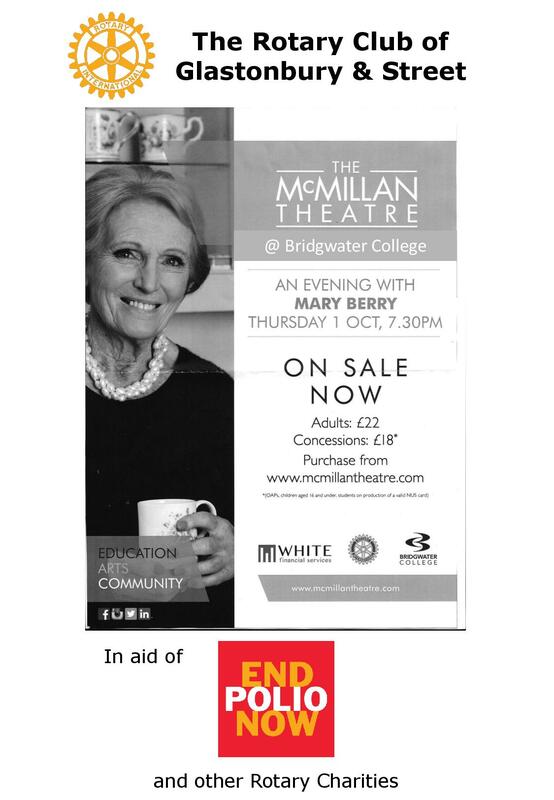 Tickets £20 include a two course dinner. 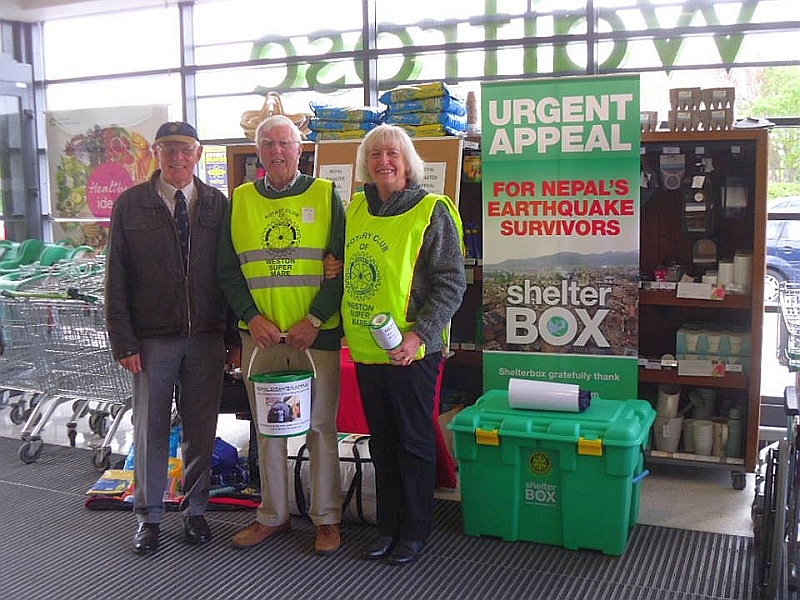 Members of the Rotary Club of Mendip were out in force collecting money for disaster relief following the earthquake in Nepal. 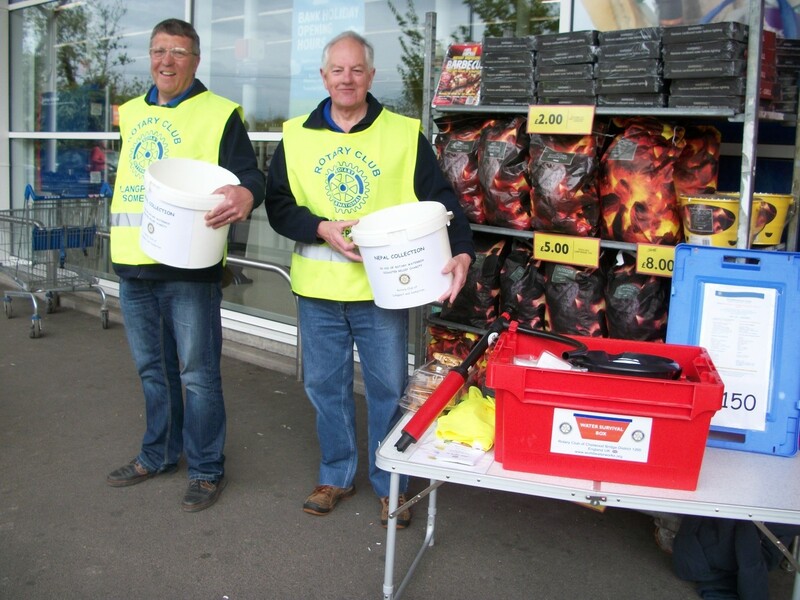 Collections were undertaken in Cheddar, Axbridge and Wedmore where the public gave generously. Including individual donations from club members, the total amount raised was over £2,000. The money has been sent to World Waterworks, a Rotary-led charity. 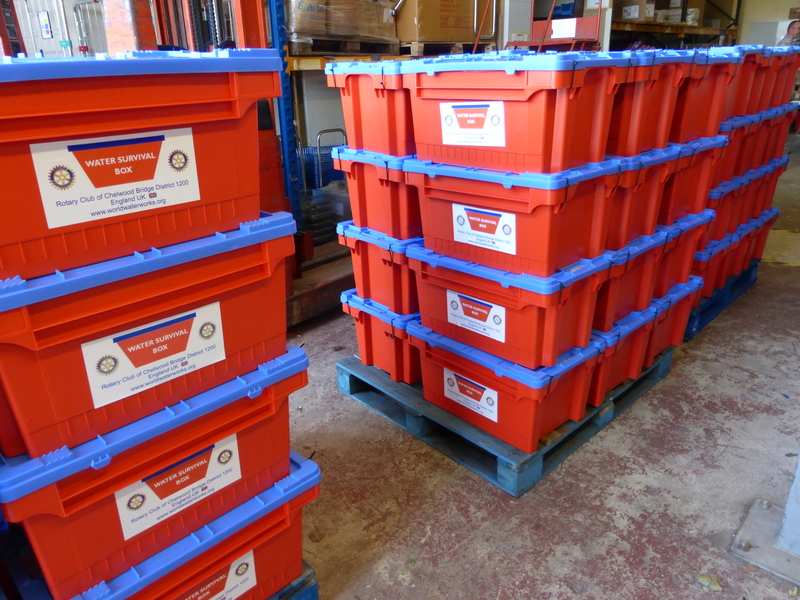 The boxes containing water purification kits, basic cooking implements, tools and household goods. Each purification kit will deliver 10 litres of safe drinking water per day, and will provide for a family of five for 12 months.